Home > Marie Claire Listen Up! May 17th, 2018 · mandy · Homepage, Media Comments Off on Marie Claire Listen Up! The world is getting louder and putting your hearing at risk. 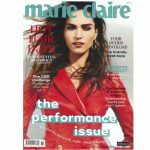 Marie Claire’s article features an interview with Gladys Akinseye Audiologist and Hearing Therapist at the Harley Street Hearing group; who talks of seeing an increasing amount of younger people seeking help with their hearing. You don’t need to see your GP to be seen by an audiologist. Custom-made hearing protection can help save your ears from harmful noise while not affecting sound around you. All our staff are highly skilled audiological practitioners who are trained in healthcare provision. As we are registered with the Health Professions Council, we can accept self-referrals, or referrals direct from your GP or from Ear, Nose and Throat specialists across the UK. Established for 25 years, we are part of the Harley Street Hearing Group, London's leading independent audiology clinics. So whether you want advice on hearing loss or protection call 0161 491 1943 or click here to email us.